Bianca is the smartest and easiest to use that has ever been built. It’s designed to address a specific and truthful need, that often emerges in the minds of our consumers: having easy and quick laundry with all results you need. A contemporary and essential design mixed with innovative and intuitive features is the secret of Bianca. Did you know that with the Steam option you can reduce the time of ironing? By activating this special function the fibers of your garments will be more relaxed, just like you. Thanks to Zoom, a brand-new functionality, Bianca is capable of washing every fabric (Cotton, Synthetics, Mixed, Delicates, Wool and Silk), in every program, in less than 1 hour, always with perfect results. With this new interface, you can combine the 8 most common weekly used cycles with the most useful options, in your own language and at your fingertips. It’s simple to slide with the soft touch button and easy to read, also thanks to the big characters and icons. Get the best out of your comfort thanks to the new Bianca's larger porthole, positioned higher, allowing you to easily load and unload your laundry. 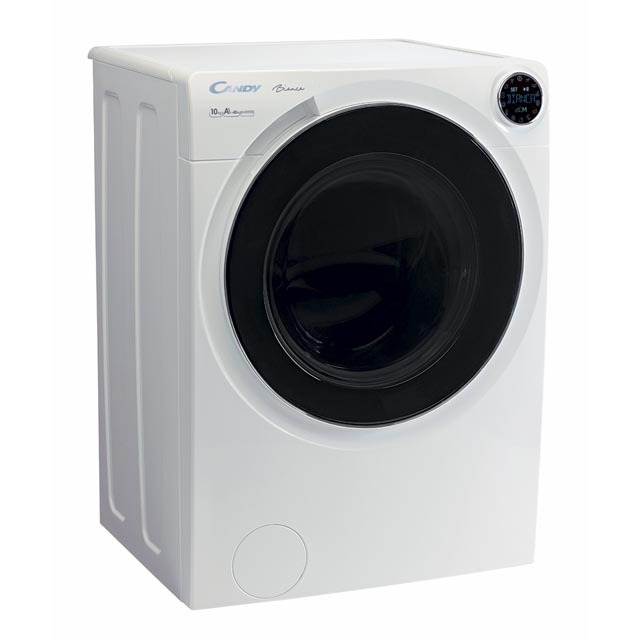 When you use Zoom, the new technology Mix Power Jet + System, injects pure detergent directly into the heart of the garments, and together with the Boost Heating System and the CPU Accelerator, it guarantees perfect washes in a short time. Bianca making your every wish come true. From today you can decide how to do your laundry! Select the program you want: choose the temperature, the spin speed, the starting time and start your cycle! Through the simply-Fi App you can access a lot of useful functionalities with Remote control. You can have more Additional programs up to obtain 8710 total combinations. Advanced check-up in order to the monitoring of the status of main components. Energy Reduction Manager to minimize the energy consumption and Auto Maintainance. Thanks to the simply-Fi App you will have the opportunity to control the machine by just talking to it. Ask Bianca to start a program or for washing advice and it will answer. Your new washing machine understands your needs, corrects you in case of possible mistakes and learns about you day after day.